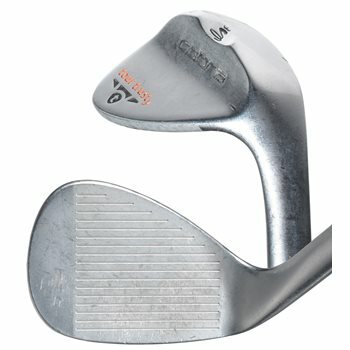 The Cobra Tour Trusty Satin wedge is a true performance wedge and is designed with tour inspired; non-offset shaping. It features larger grooves and VFR face milling for maximum spin and optimal surface roughness producing increased spin on shots around the green. It is constructed of durable chrome plated 8620 Carbon Steel and has a Notch K-Grind™ sole to provide heel and toe relief for Tour-trusted versatility. This performance wedge has grooves that conform to the 2010 USGA/R&A Groove Rule and it offers versatile precision and accuracy for every player. Tour Notch K-Grind™ which provides heel and toe relief for increased shot making and Tour-trusted versatility around the green.